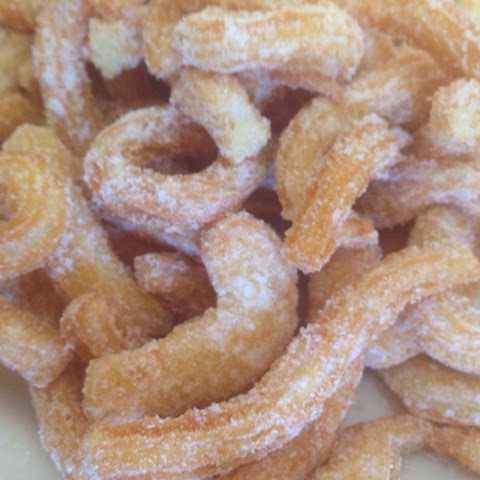 Churo is a form of bite size donuts can be made of various shapes. 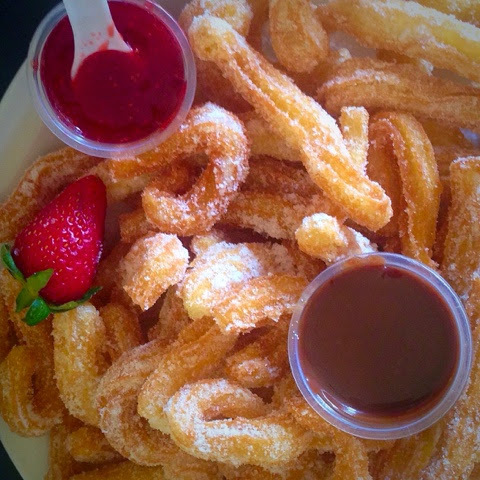 These are generally served with chocolate dip. Can be made using eggs or eggless. Combine water and butter in a medium pan and bring to the boil over high heat. Cook until butter melts.Remove from heat. 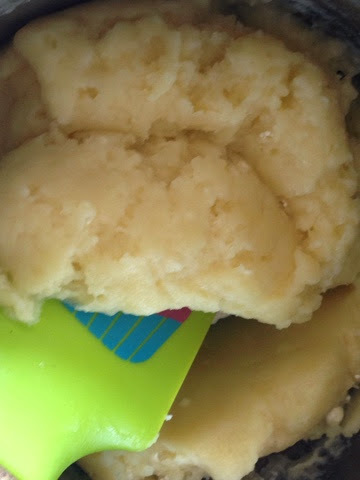 Add the flour and salt and mix well until well combined and the dough comes away from the side of the saucepan. 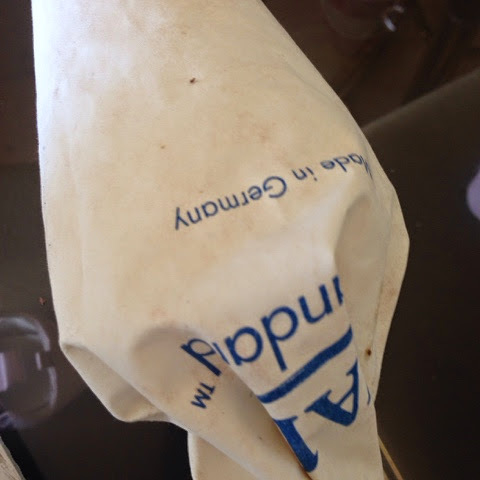 Cover with plastic wrap and set aside for 15-20 minutes or until cool. Add the eggs, 1 at a time, beating well after each addition, until well combined. Spoon dough into a piping bag fitted with a star shaped nozzel. Add enough oil to a large saucepan. 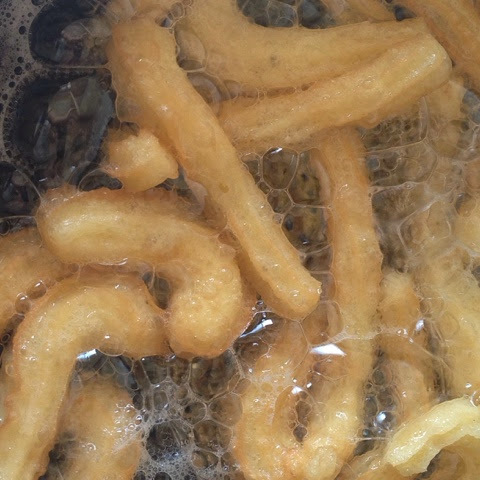 Deep-fry for 1-2 minutes or until golden brown. 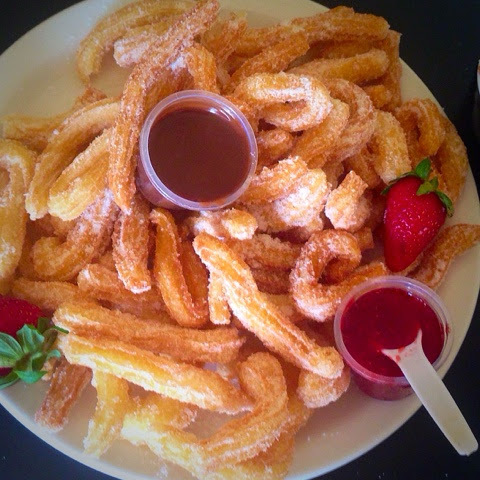 Cut churros with scissor while dropping in oil from piping beg. Transfer to the paper towel. Dust with icing sugar.